One of the most beneficial fruits available naturally is avocado. Packed with loads of nutrients, this unassuming fruit is extremely healthy and aids the body in a variety of ways. It is now gaining immense popularity as a health food, due to its many properties. Here are some of the health benefits of avocado. The health benefits of avocado are numerous and deal with almost every kind of health issue. These fruits can also be consumed in a variety of ways, and this helps in ensuring that you get enough of their nutrients in some way or the other. Improved cardiovascular function is one of the health benefits of avocado. Here are some of the common health benefits of avocado. Avocados are highly effective in decreasing bad cholesterol levels. This is because avocados possess an active ingredient named beta-sitosterol, whose effectiveness has been documented by a research study. In the 1995 issue of Annals of Nutritional Metabolism, a research study was published, which documented the effectiveness of beta-sitosterol for reducing bad cholesterol. The research study showed that healthy individuals were able to lower their cholesterol levels by 10 percent after incorporating beta-sitosterol in their diet for a period of 30 days. This is one of the primary health benefits of avocado, so all you need to do to cut down on bad cholesterol is some avocado in your diet! Another one among the major health benefits of avocado is that it helps in losing weight. If you have been struggling to shed those extra pounds, try including this amazing fruit in your diet. A single avocado provides around 7 grams of fiber (soluble & insoluble). Both these types of fiber are needed for the smooth functioning of the digestive system. Weight loss is one of the primary avocado health benefits. Soluble fiber aids in the metabolism of carbohydrates, which helps you stay content for a longer time after you’ve had your meal. Avocados possess an active ingredient named oleic acid, a fatty acid that decreases hunger pangs by activating a certain portion of the brain. 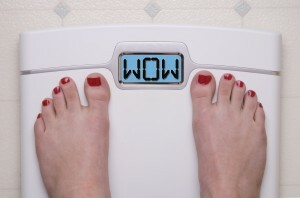 This is one of the healthiest ways to moderate your eating habits to lose weight. Avocados are highly effective in maintaining blood sugar levels. Possessing high concentrations of monounsaturated fats, this fruit helps in slowing down the process of digestion, which in turn helps in preventing insulin spikes. Consuming foods such as avocados, which are rich in good fats, may also prove to be effective in treating insulin resistance. Instead of smearing some mayo over your bread, try mashed avocado, as it is helpful in decreasing food cravings and keeping your blood sugar levels in check. Avocados are an excellent source of soluble as well as insoluble fibers. This fruit stands out due to the fact that very few foods contain both types of fiber. It is estimated that an avocado contains insoluble and soluble fiber in the ratio of 3:1. The presence of insoluble fiber in avocado makes it an effective treatment option for constipation, as it promotes smooth digestion. In addition to that, insoluble fiber is also helpful in reducing your risk of developing colorectal cancer, as it cleans out the colon. The presence of soluble fiber in avocado helps prevent binging, as it keeps you full for a longer period. The health benefits of avocado involve protein as well. Avocados are an excellent source of protein, as they contain 18 essential amino acids. The form of protein present in avocados is easier to digest (thanks again to the fiber content), unlike the proteins present in non-vegetarian foods like steak, which are often difficult to digest. The presence of good fats in an avocado makes it an excellent food for keeping your heart healthy and preventing heart disease. 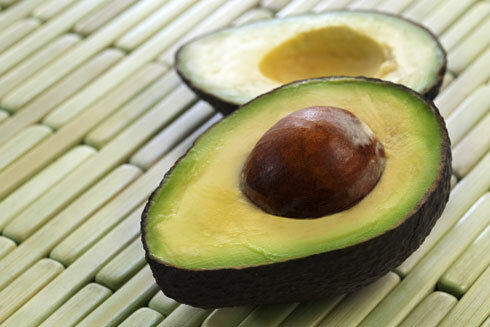 Research has shown that the presence of oleic acid in avocado promotes cardiovascular health. Avocados are also rich in omega 3 fatty acids, which help in preventing heart disease. The health benefits of avocados are indeed many and because of this, it is important to consume them on a regular basis. You can include these fruits in the form of a salad, or even have them in the form of snacks, in between meals. This entry was posted in Nutrition and tagged avocado health benefits, benefits of eating avocado by Zipheal Editorial Staff. Bookmark the permalink.